Robotics and Multi-perception Laboratory is part of the HKUST Robotics Institute led by Prof. Liu Ming. The mission of this Laboratory is to understand science, engineering and social role of robotics and to create intelligent systems that are able to autonomously operate in complex and diverse environment with multiple perception approaches. In particular, Prof. Liu Ming and his team are keen to develop novel methods and tools for human-robot interaction, perception, cognition, knowledge abstraction, mapping, learning, representation, planning and execution. In this talk, Prof. Liu Ming will share his insights on the topic of “Perception for Mobile Robots and way to Cloud Robotics” and introduce his lab’s latest results in the relevant fields. Prof. Liu Ming was born in Zibo, Shandong. He received his B.S. degree in Automation from Tongji University in 2005 and Ph. D. from the Department of Mechanical and Process Engineering at ETH Zürich in 2013. 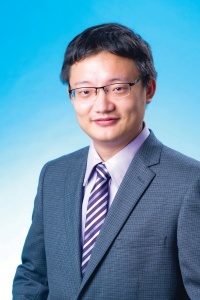 He is currently an Assistant Professor of Electronic and Computer Engineering at Hong Kong University of Science and Technology as well as director of the Robotics and Multi-perception Laboratory. He is an IEEE member since 2012. Liu’s research primarily focuses on dynamic environment modeling, 3D mapping, machine learning and visual control. He is particularly interested in the investigation of novel, real-time on-line approaches in solving mobile robot mapping and navigation, with over 70 technical publications in these research areas. He is the founding member of several companies involved in Internet-of-things and Robotics, and the co-authors, co-organizers of academic conferences, co-editors of journals and books, co-researchers of internationally engineering events. He won the Best Student Paper Award in MFI 2012 and Best Paper Award on Information in ICIA 2013 as the first author. He won twice the innovation contest Chunhui Cup Winning Award in 2012 and 2013, and the Wu Weijun AI award in 2016. He was the Program Chair of IEEE International Conference on Real-time Computing and Robotics (2016), and the General Chair of International Conference on Computer Vision Systems (2017).